If coffee is for the adult in us, hot chocolate is surely for the child inside. Remember coming in from building a snow fort or a snowman, and drinking hot chocolate to warm up? Comforting and soothing, it's like a soft, cozy blanket to wrap up in. Hot chocolate with whipped cream and chocolate shavings in a big mug. What could be more comforting on a cold winter's day? However, if we want to up the elegance factor, and make it a little more grown up, an antique hot chocolate pot will do the trick. This is a family heirloom; the only marking on it is Made in Germany. The Phoenix bone china cup above matches nicely. So does this one, below, made in the former country of Czechoslovakia (now the Czech Republic and Slovakia). 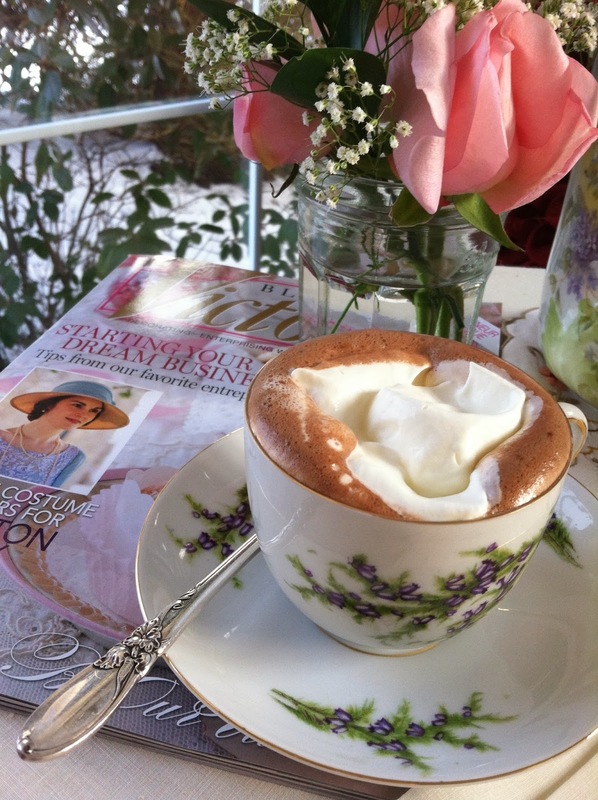 My favorite magazine, Victoria, and a chocolate Lindt truffle go well with a lovely hot chocolate break. 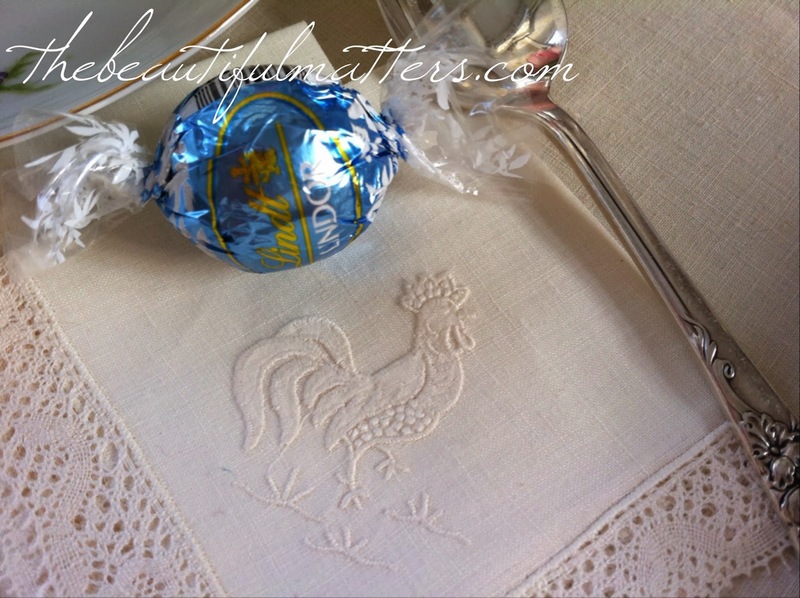 Look at these cute cocktail napkins with the roosters on them. These are more than 75 years old. I have to admit, because we were having chocolate, we used pink paper napkins, and left these for decoration. I make hot chocolate from scratch. It's so easy. Just mix the cocoa and some sugar with a little milk until you have a nicely blended slurry, then add more milk to make enough for your cup, and heat. 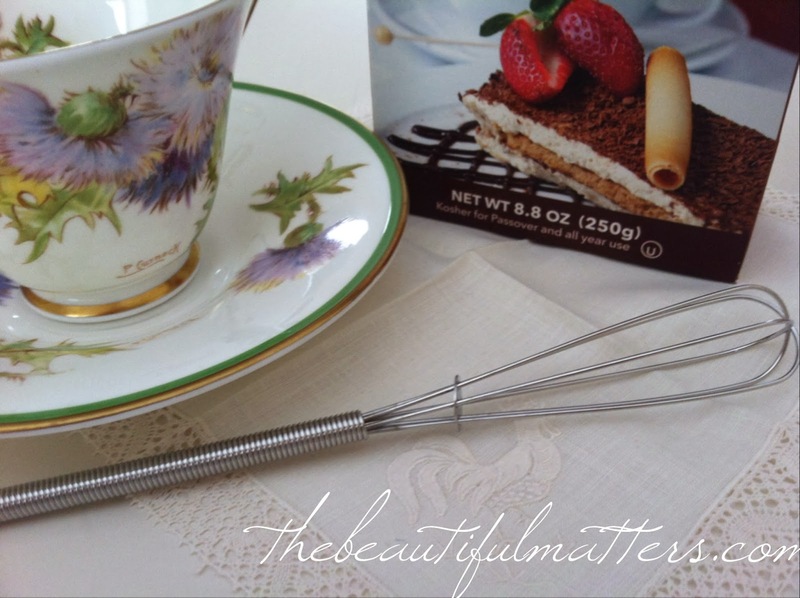 This little whisk is handy . . . I prefer to heat it on the stove, but I make a mess trying to pour it from a saucepan into a cup or mug. I would like to have a little pan with a spout on the side. I used an 8-ounce Pyrex liquid measuring cup in the microwave. It was easy to pour out, and filled two teacups, with enough room for a nice dollop of whipped cream on top. I always make my whipped cream from scratch, too. It's quick and easy to do, and it contains none of the chemicals that are in those plastic tubs of whipped topping. 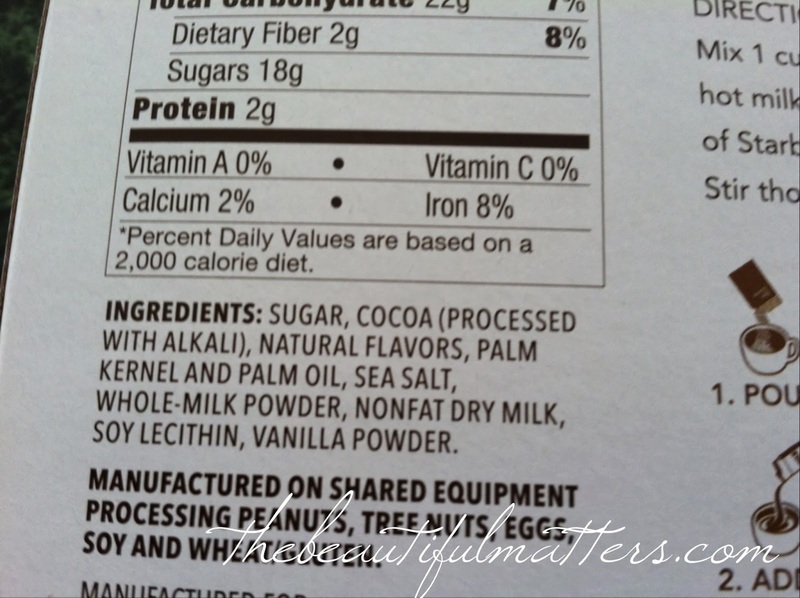 Speaking of chemicals, look at what's in the Swiss Miss chocolate mix . . .
Corn syrup, hydrogenated oil, artificial flavor, and several things hard to pronounce. The Starbucks mix, which you make with milk, is a little better . . . 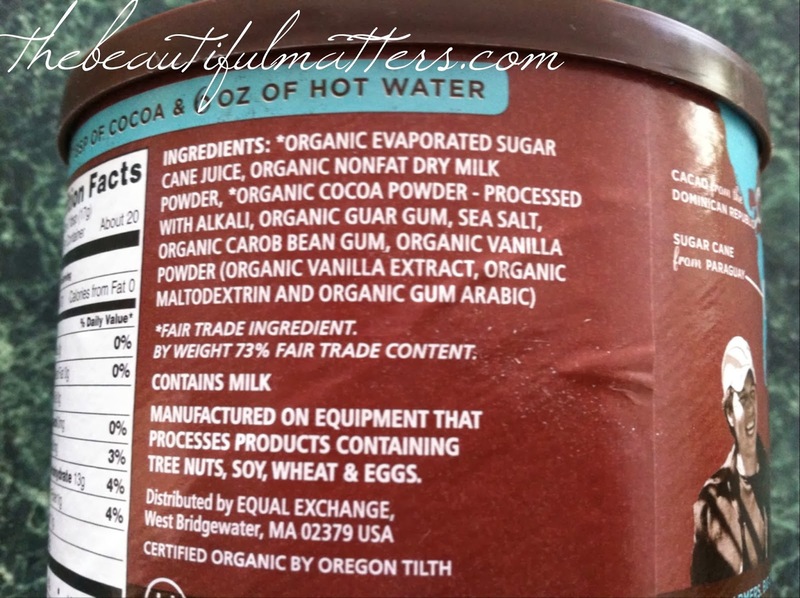 Even this fair trade, organic mix from Whole Foods has additives. Now this -- this is just pure cocoa. You don't have to get this brand; there are others out there. Just check the label . . .
Just cocoa. I'm also using this to make brownies for book club tonight. Pure cocoa, a little sugar, some milk, real whipped cream. It's a treat that almost feels like a little meal, and I love knowing I'm having Real Food, not fake. Wondering what "processed with alkali" means? 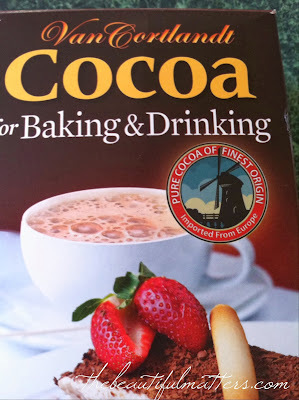 Also known as "Dutching" because it was invented by a Dutch chocolatier in the 19th century, it is a process which allows for milder and smoother-tasting cocoa, not quite as bitter, but it does destroy some of the heart-healthy antioxidants and flavanols in the cocoa. Flavanols are substances that are known to help lower blood pressure and improve vascular function, among other benefits. 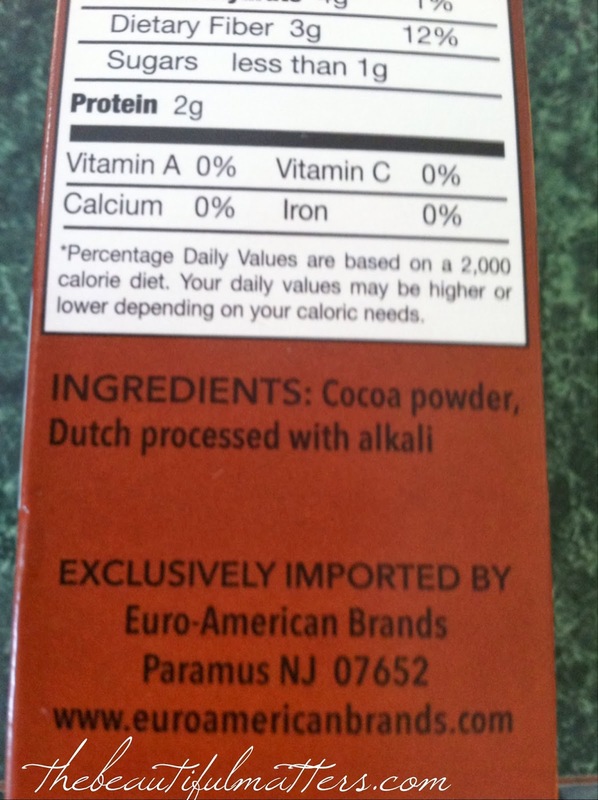 All four cocoa brands above are made with Dutch-processed cocoa (or cocoa processed with alkali). 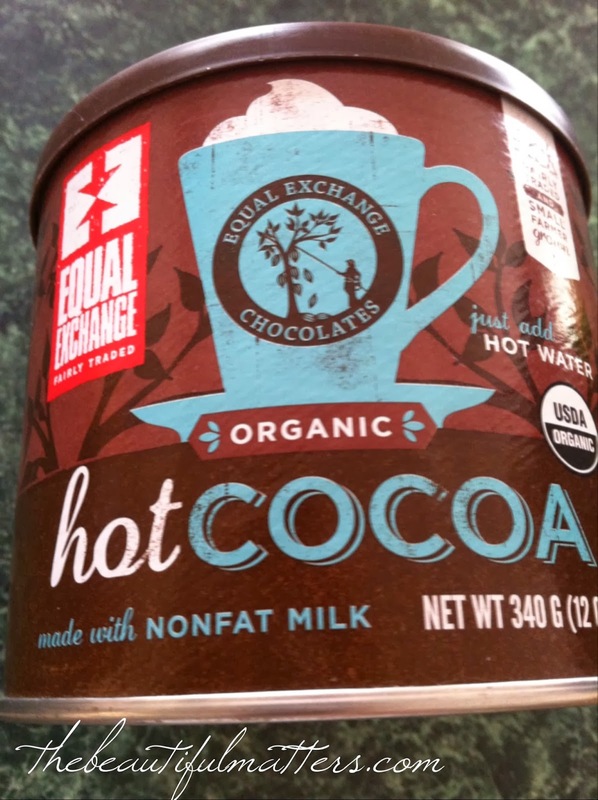 If you can't find plain cocoa (non-alkali-processed), my suggestion is to have some dark chocolate with your cocoa! 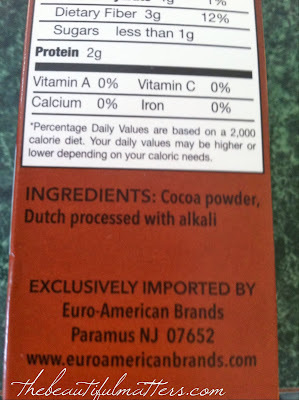 (Do check the labels, though; some high percentage cocoa dark chocolate is alkali processed). 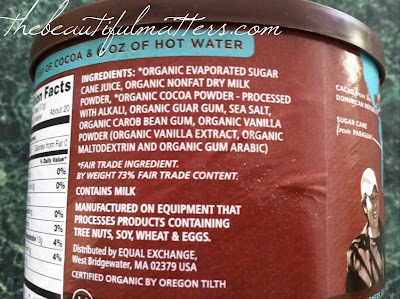 Anything above 70% percent cocoa is considered heart healthy. And if you are really serious about your flavonols, use almond milk in your cocoa, as cow's milk will interfere with absorption. 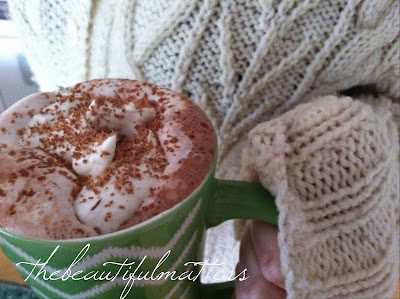 However you make your cocoa, though, do snuggle up and enjoy its warm, comforting goodness on a cold winter's afternoon. 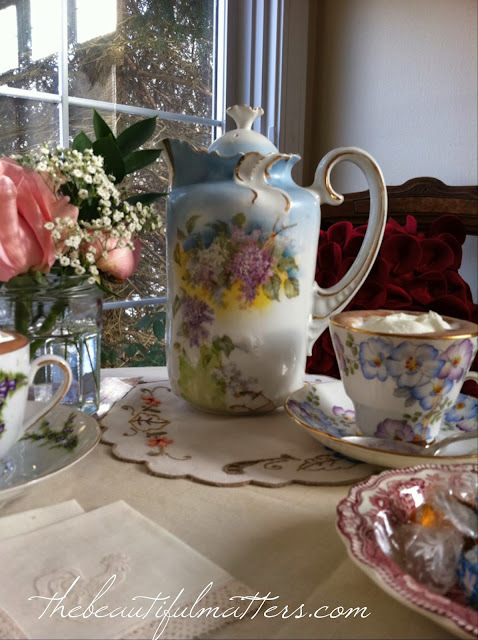 I am linking up with Sandi at sandimyyellowdoor.blogspot.com for Tea Time Tuesday and Antiques and Teacups at www.antiquesandteacups. I am also linking with http://www.adelightsomelife for Home and Garden Thursday. Please visit; these ladies have lovely blogs. Wonderful! So glad you joined us! Chocolate's as good as tea! 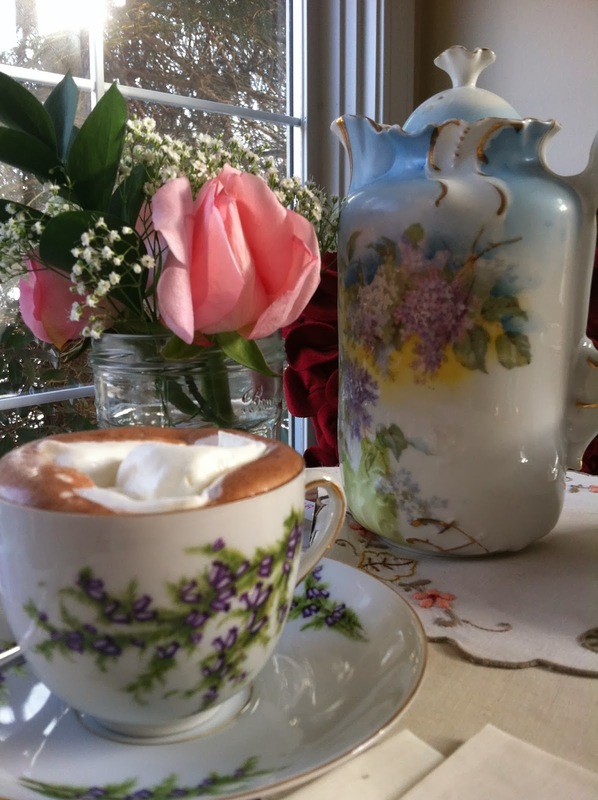 I love you antique chocolate pot. And the teacups go so well. I LOVE hot choc, but have to have it rarely as I am allergic to both milk & chocolate...but it's a favorite! I learned so much about it from your post. Thanks so much for linking to Tuesday Cuppa Tea! oh, too bad about the chocolate allergy . . . thanks for visiting! I try to eat as much unprocessed food as I can, but not always successful either . . .
thank you Martha, that's very sweet of you. I can't deny I'd love another tea cup! What a beautiful chocolate pot! Your teacups do look wonderful with it too. I like to make my own hot chocolate aslo. The thought of preservatives does not appeal to me much. The real thing always tastes better too, I think. 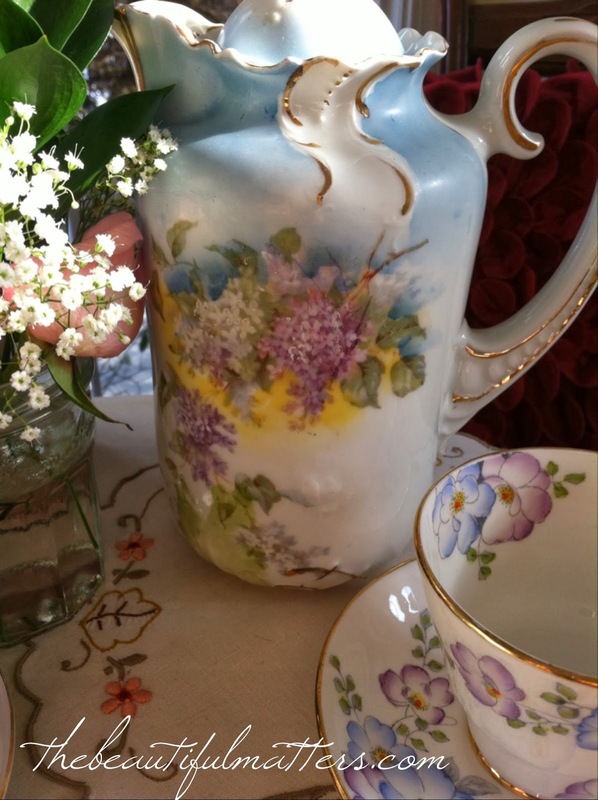 Thank you for sharing your fabulous pot and coming to tea. As a newbie to all this, I am in awe of all the talented and generous ladies here in blogland. It's been wonderful! Lovely post! 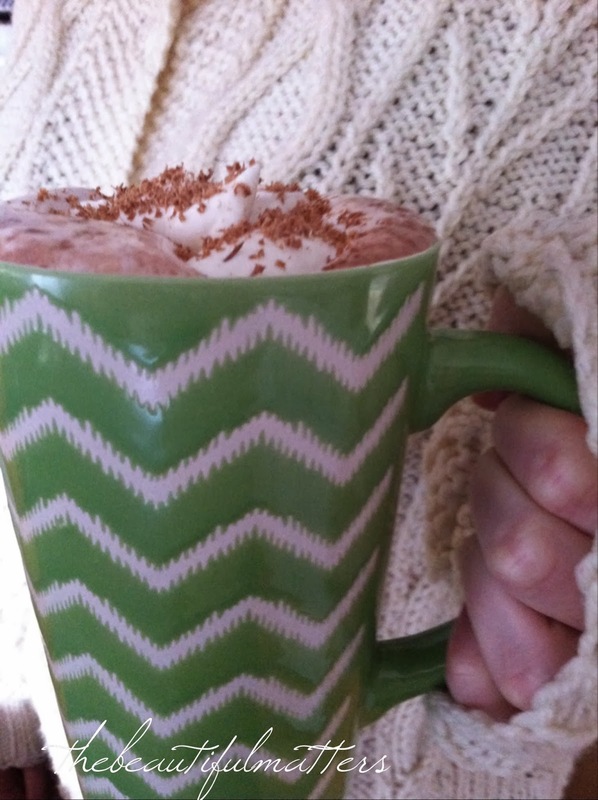 Have you ever added vanilla to your hot chocolate? We like it! yes, I do sometimes. Forgot to add that in my recipe! Thanks for stopping by Janet! You make having cocoa as special as a tea party. I've never made my hot chocolate from scratch (for shame) and really should think about it. A nice post with helpful information. thanks Judith for visiting me today. Deborah, your beautiful photos are worthy of a Victoria magazine spread themselves! oh, thank you Fiona. Sometimes I'd like to jump into the pictures of that magazine, like in Mary Poppins when they jumped into the chalk picture! Your hot chocolate makes me want to go make some. I have also made it using pure cocoa. Much nicer flavour....had never given a thought to the additives in hot chocolate powder before. They put chemicals into everything nowadays. Liz, thanks for adding me to Google +. I see you're going to do the "Build My Blog" event, too. Hope it goes well for you! 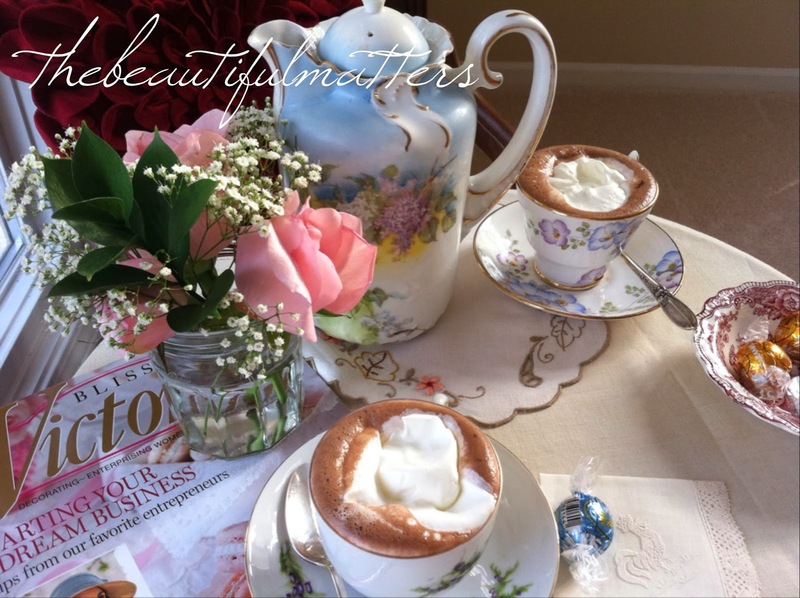 The chocolate pot is gorgeous, what a treasure... and the hot chocolate looks delicious, beautiful photos! thank you, Bella. You have a beautiful blog! I found you through Sandi's Tea Party. I fell in love with your chocolate pot as soon as I saw it. What a beautiful family treasure! There's something about chocolate pots that is so special. 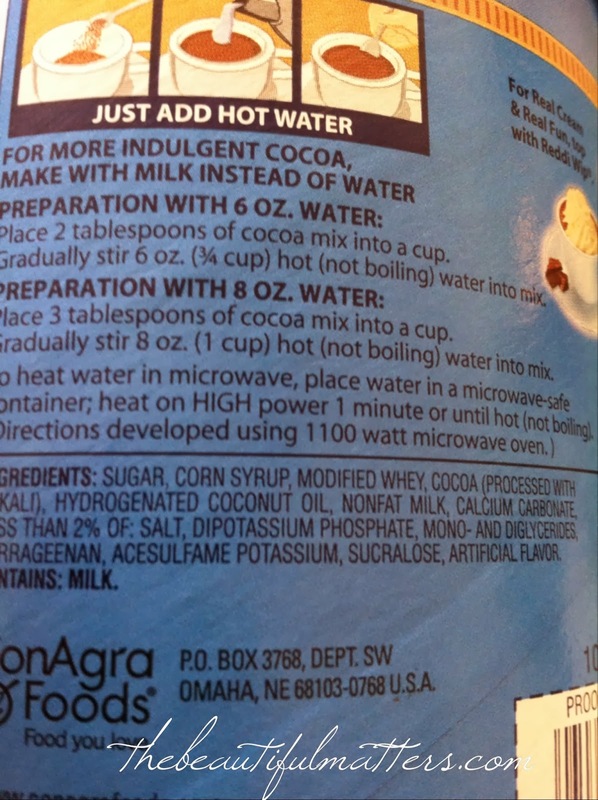 I love your show of ingredients of hot cocoa mix. We prefer to use cocoa also. It has a better cocoa flavor in my opinion and IS cocoa! I really enjoyed my visit here this morning. Please stop by to see our treasures & creations. 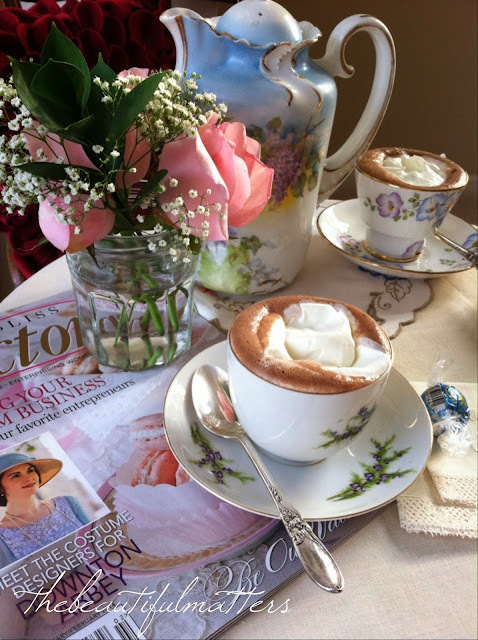 We'd love to have you for tea or cocoa to sit and visit a while! thank you, I'd love to visit! I just checked our Nestle Tollhouse cocoa, and it is ordinary 100% cocoa -- nothing else indicated on the label. Good to know! We make our hot cocoa as you do, but I do prefer it on the stove top. I ladle it into the cup. But I've seen stovetop pots with a long handle on one side and a spout on the other -- have you seen those? I agree; stove top is the best. I'll have to look for one of those pots.